I’ve been writing music and stories with Reed Reimer for over a decade. 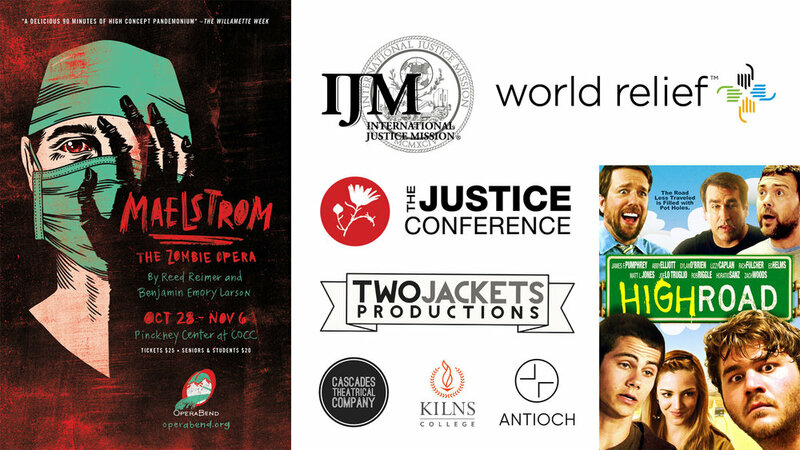 The premiere of our first collaboration, Maelstrom - The Zombie Opera, accumulated critical praise in the Willamette Week and Portland Vanguard, as well as three Portland Area Musical Theatre Award nominations. Our work together has been featured on Hollywood film trailers, at international justice gatherings, and at large venues including the Pennsylvania Convention Center and Oregon Convention Center. See more about us and our work together at reimerandlarson.com.